The Rogation mass has a long history in the Catholic Church and at Woodchester. It is traditionally held in the week following the Ascension day. The mass marks the changing of the season and is a prayer for a productive and fertile crop. 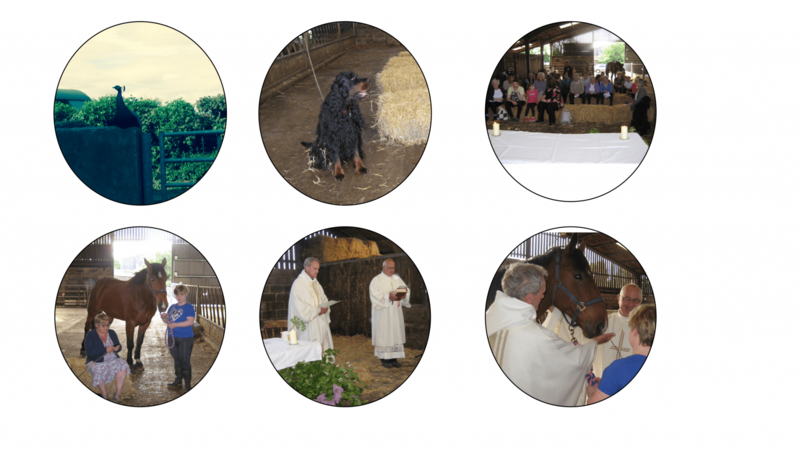 This year’s service was held in a barn at Barton End with dogs, cars, horses, peacocks and guinea fowl in attendance.